Be sure to take a break while visiting the GEO CENTRE. There’s lots to see… and plenty to eat! One side benefit of visiting the Johnson GEO CENTRE is that you’ll burn a few calories! If you want to take in every display and exhibit and then explore GEO PARK, you will probably find yourself ready for a snack or drink. That’s where GEO Cafe saves the day. 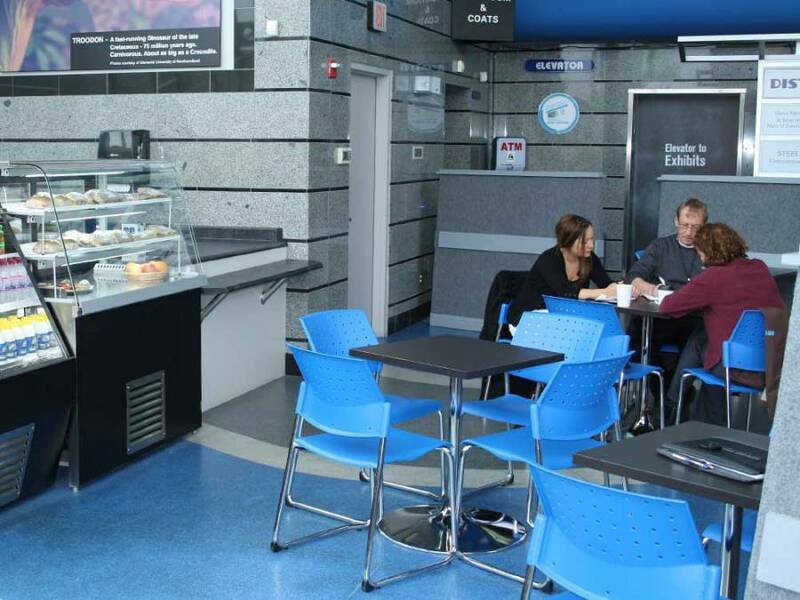 Located beside the entrance and GEO GIFTS, GEO Cafe has plenty of drinks and light snacks to keep you energized and ready to keep on exploring. It’s also a great spot to sit and chat with friends, or to look through the many brochures we have on display from popular tourist attractions and accommodations throughout the region. When you’re ready to explore time, the Johnson GEO CENTRE is ready for you. And when you’re ready to take a little time out, GEO Cafe is the place to be! Cafe is seasonal and closed from October to mid-May. For hours of operation on Holidays, please call (709) 737-7880. How could we make it better? Website Hosted and Maintained by: Boom I.T.